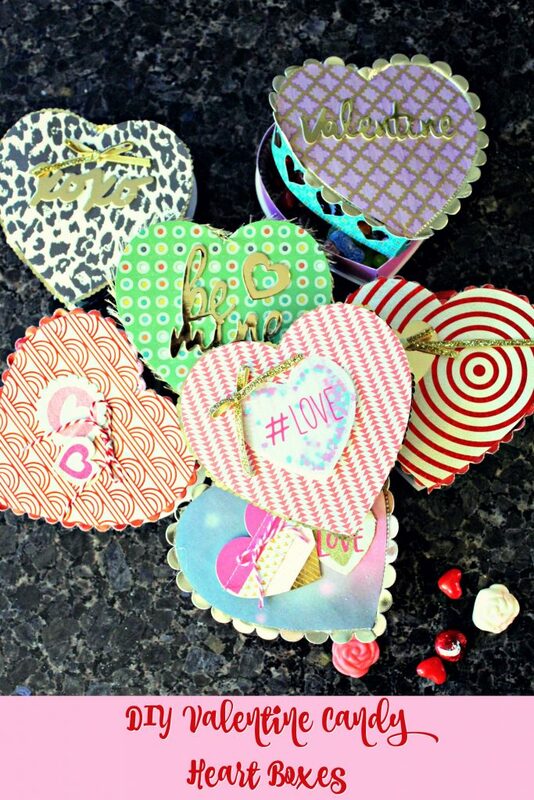 Why not give your loved ones a Valentine candy box made just for them? 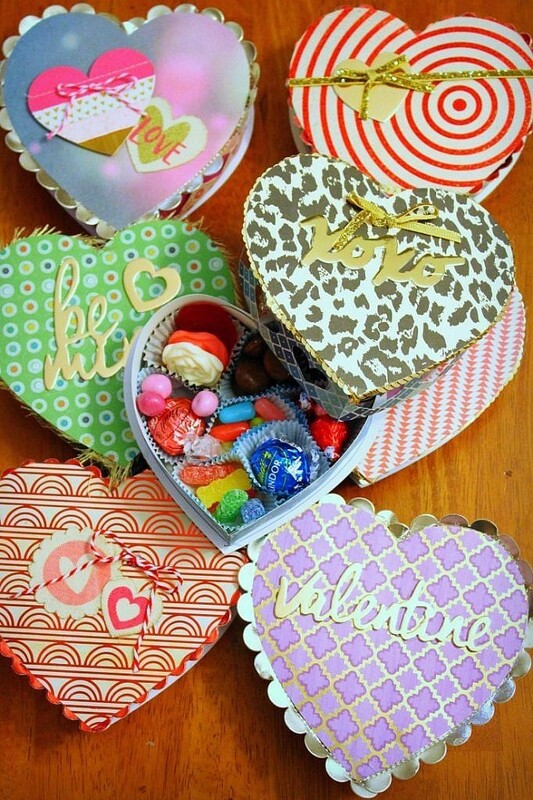 This candy box pattern is a cinch to put together and personalize with all of your sweetheart’s favorite treats! 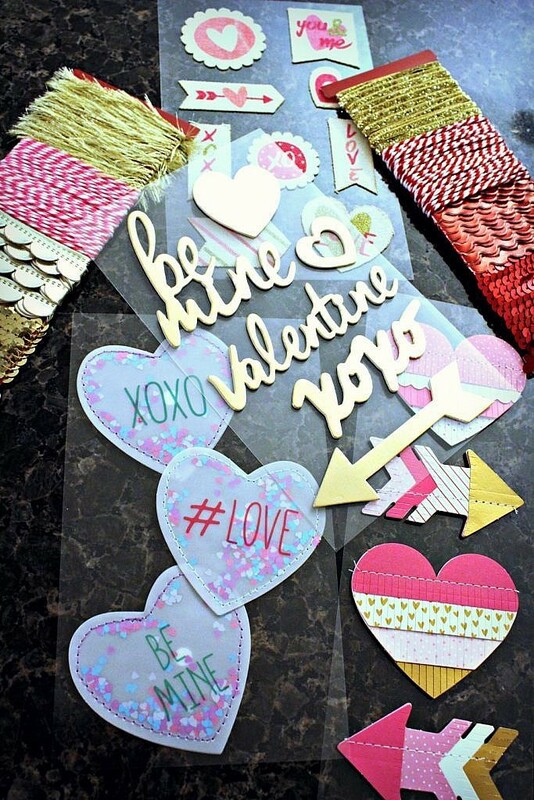 Do you remember the first year that Valentine’s Day mattered to you? I do. I was in the sixth grade and was boy-crazy over this kid named Warren. He had the cutest little bowl cut and the biggest teeth I’ve ever seen. Every time someone accused me of liking him my voice would rise to an octave that only dogs can hear as I shrilly said: “I do NOT!” Only I did. On Valentine’s Day, after finally admitting I maybe liked him a little bit, we started “going out.” You know, the going out, which means we were thinking of holding hands someday when our palms weren’t sweaty and the planets aligned. Warren gave me a decorated teddy bear cookie that year that said, “I love you “beary” much!”. 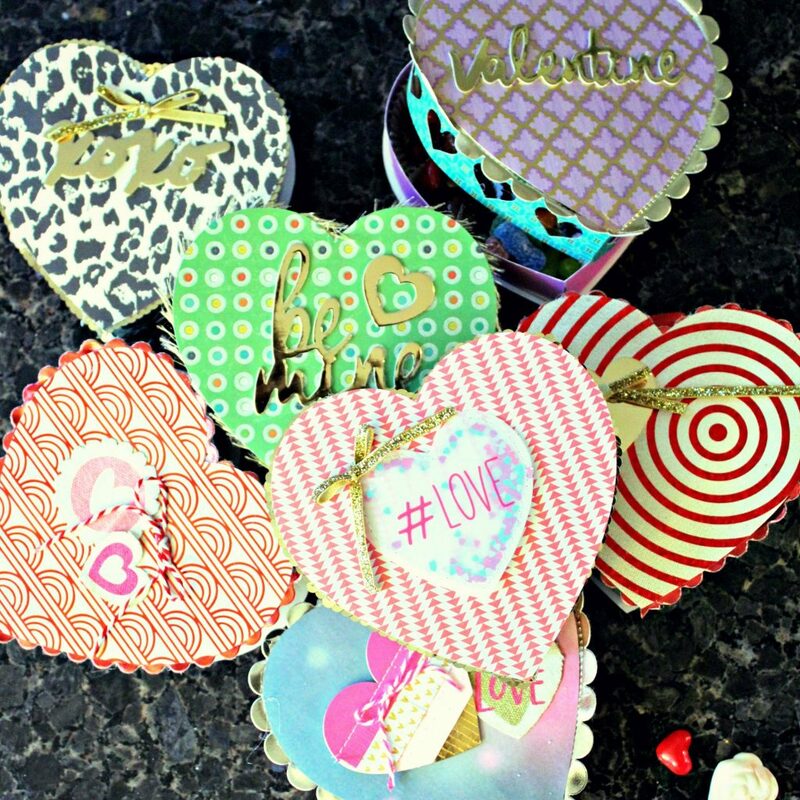 I swooned, and vowed never to eat the cookie – it was just far too romantic gesture to eat it! Knowing my love of cookies, I must have liked this boy even to consider not eating it. In my heart, I just knew I’d be cherishing that cookie on our wedding anniversary someday! Flash forward a few years – okay, a few decades – and now I’m married to the most excellent Valentine who, lucky me, will have to put up with me forever. Now, I have a whole slew of young people all worried about whether or not they’ll be getting an “I love you ‘beary’ much!” cookie, or something equally as heartwarming, on February 14th. 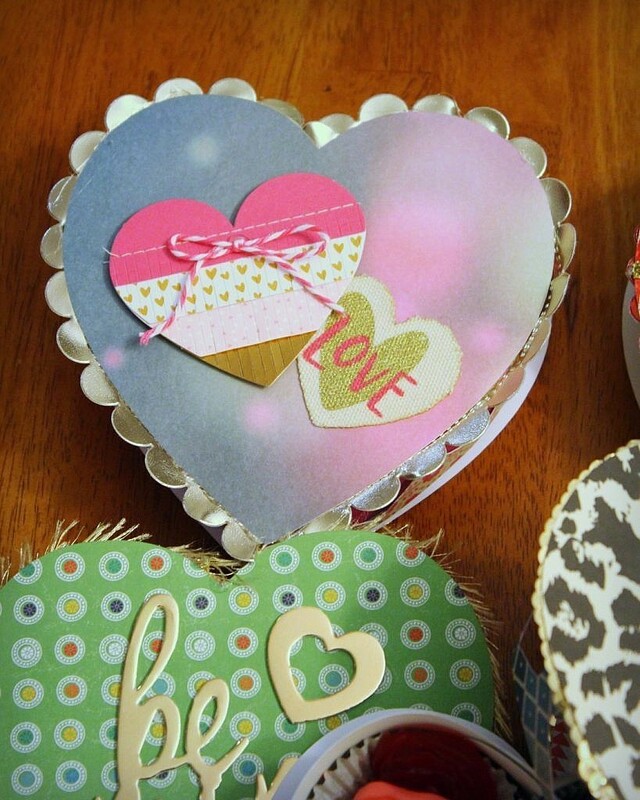 Of course, I can’t guarantee that for them, but I can make sure they know how much I love them. Every year we have a little Valentine’s Day party, where we exchange little cards and candy and finish the day off with one or two of our favorite Rom-coms. This year’s movies were “10 Things I Hate About You” and “A Knights Tale” – it was just a Heath Ledger kind of day! 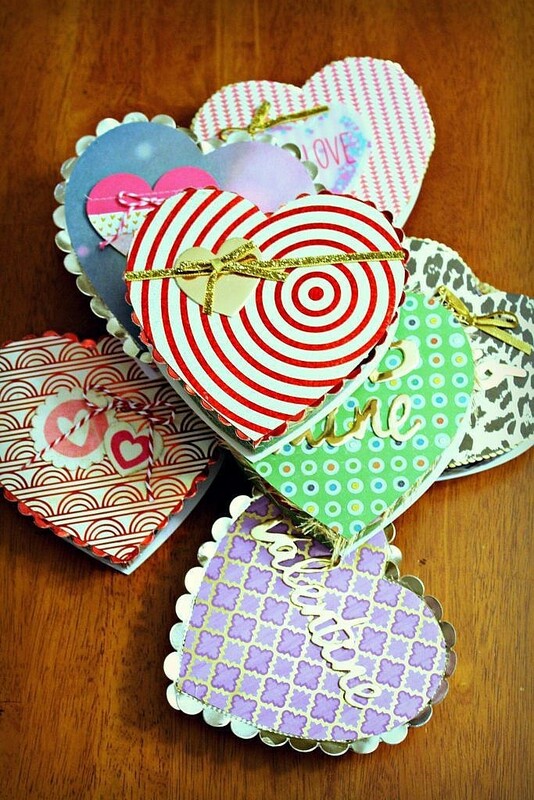 My youngest knock-it-off-crafter spent an entire day crafting his Valentine’s, everyone made a box or a bag to hold their goodies, and I surprised everyone with these personalized candy boxes. We sat around talking about how dumb boys are sometimes (truth) and how impossible girls are to understand (won’t ever happen), nibbling on our sweets and getting lost in the rom-com giggles. Each box reflected the current personality of the receiver – as you can see I’ve passed on my love of leopard print to one of my mini-me’s. 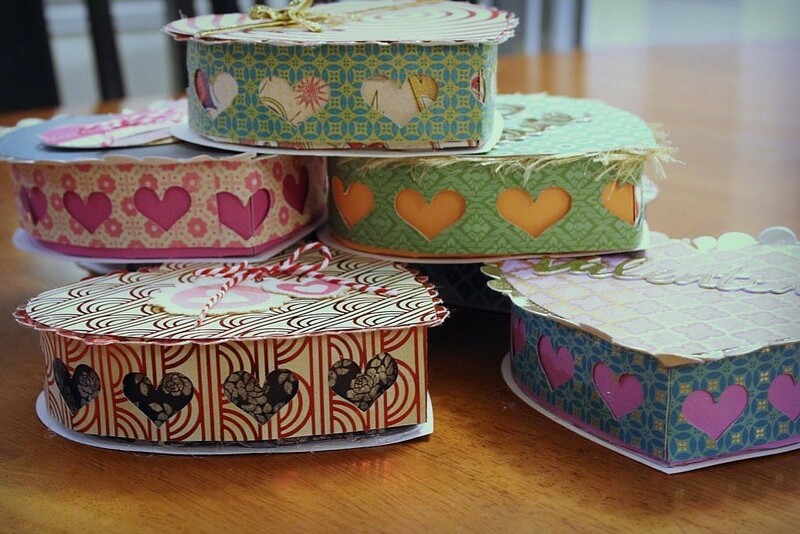 With the varied cardstock patterns, it was easy to have each box reflect the current personality of the receiver – as you can see I’ve passed on my love of leopard print to one of my mini-me’s. 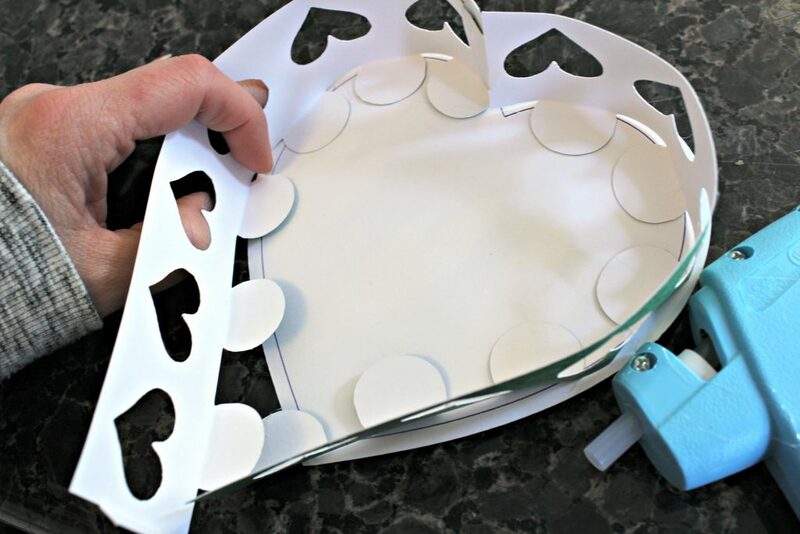 I made my boxes with my Cricut Explore Air 2 – by the way, I STILL love this machine – but if you don’t have a craft cutting machine, you could quickly create the project by cutting the template by hand. If you’re using a newer Cricut or Silhouette, import the images into the designer software and enlarge the image to cut on a 12″x12″ cardstock sheet (print the pictures at full size if cutting by hand). Either way, you’ll need to cut one of each sheet. 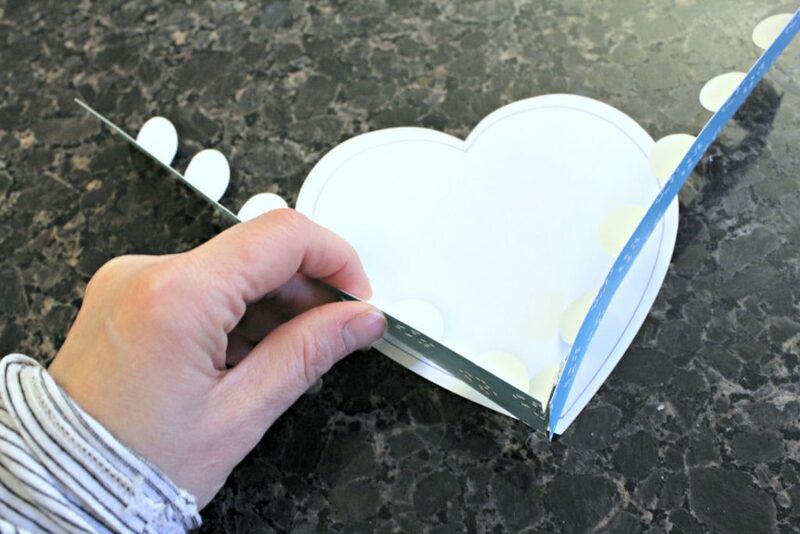 Cut out your template patterns, one sheet of all three files. 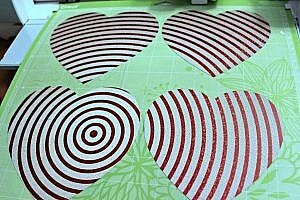 Trace the liner hearts (smaller of the two) to the back side of the base hearts (larger). Connect the two pieces of the solid band in the center, aligning the edges. 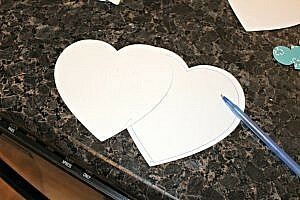 Attach the solid band to the back side of the bottom base heart, using your traced line as a guide. Bend the tabs, then attach by gluing the circle tabs slightly INSIDE the line onto the base, starting from the tip of the heart and working around to the top of the heart. Connect the two pieces of the contrast band in the center, aligning the edges. Attach the contrast band to the back side of the top base heart, using your traced line as a guide. 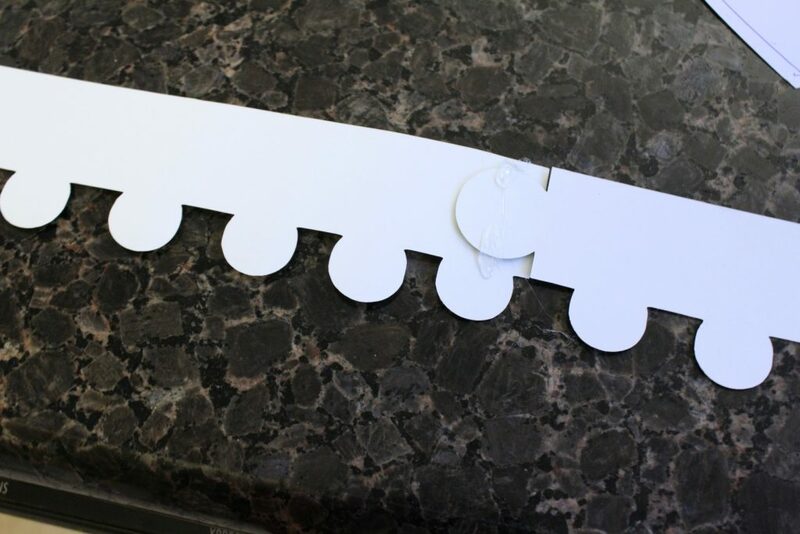 Be sure to check fit over the bottom band before gluing, and cut to fit as needed – The top band provided is longer than necessary to allow for a custom fit. 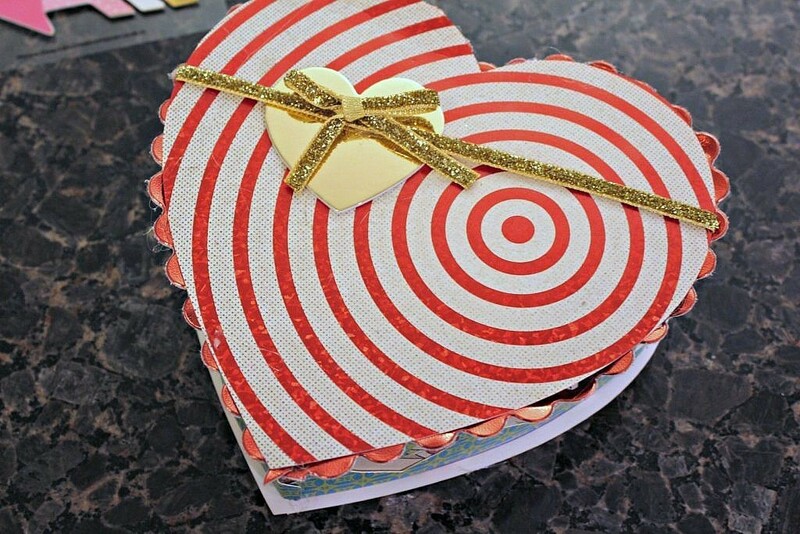 Attach by gluing the circle tabs slightly OUTSIDE the line, starting from the top of the heart and working around to the bottom of the heart. 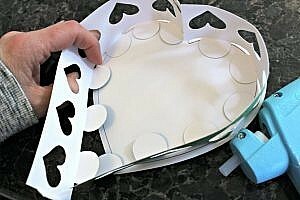 Add liners to both top and bottom lid and embellish, if desired. 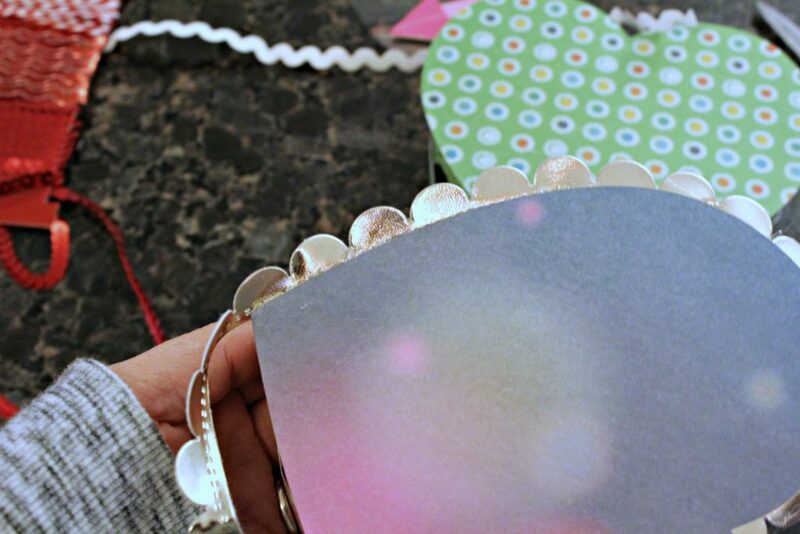 Add cupcake liners and fill with candy. Gift to make someone happy! I found it easiest to work from the bottom up to ensure the contrast band fits inside the peek-a-boo band. Although the boxes were cute without any further decoration, I had found these fun embellishments in the Target Dollar Aisle. 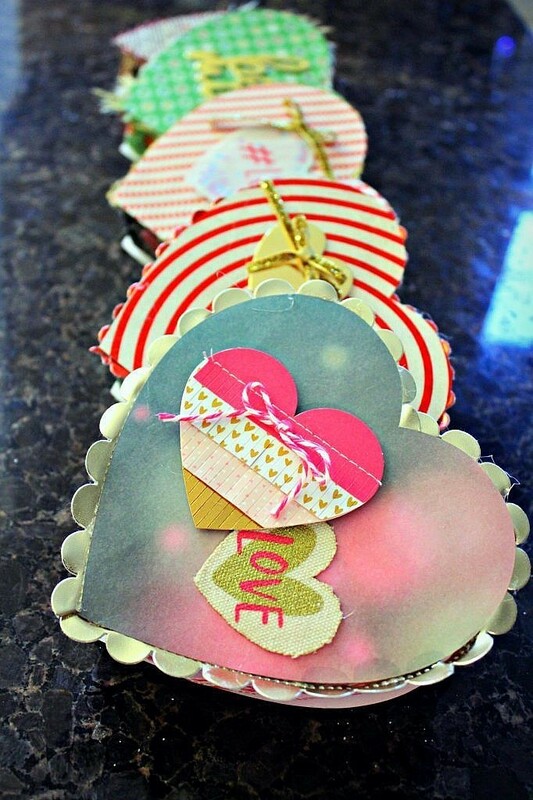 They were the perfect finish to compliment the different cardstock designs. 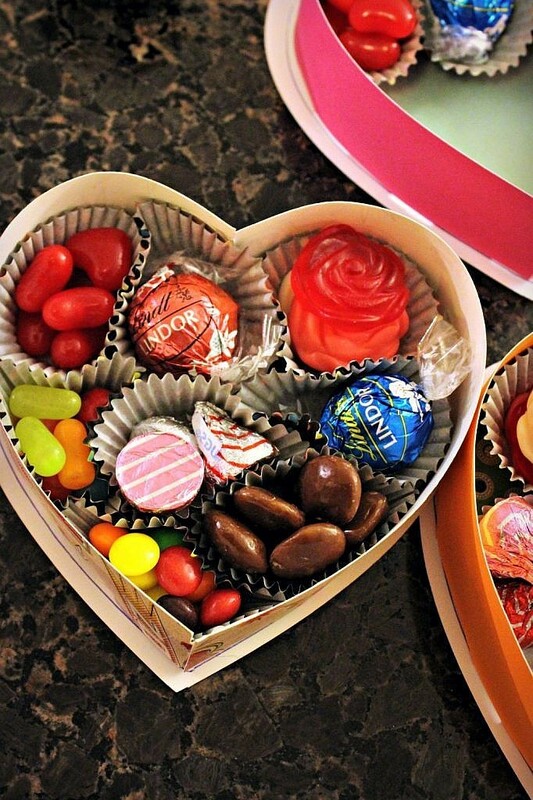 The best part of creating your candy boxes is that you can fill them with all of your favorite sweets! 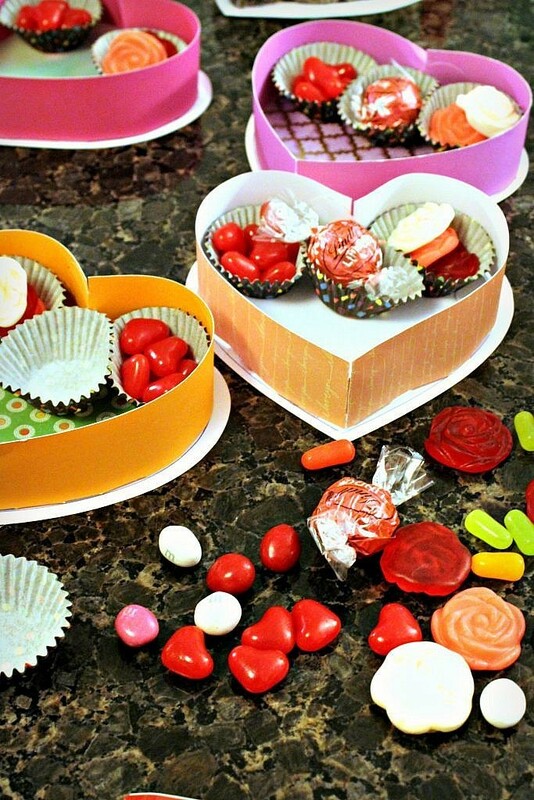 Mini cupcake liners are perfect for holding each treat or chocolate – I was able to nest seven liners into each box. 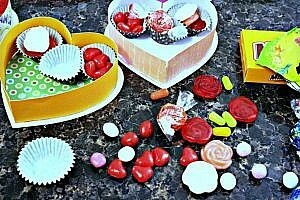 I filled the boxes with Mike & Ikes, Skittles, Peanut M&Ms, Cinnamon hearts, Gummy Roses, Milk Duds, and Lindor Truffles, but you can fill yours whatever you like. It’s a very personal way for you to show your Valentine’s, large and small, how much they are loved! So, I bet you’re wondering what happened to Warren and the cookie? Well, he broke up with me the day after Valentine’s Day. Although I kept the cookie to remember the good times, it eventually disintegrated. Since then, I’ve grown up and now, if someone were to give me a cookie today, I’d eat it right there on the spot – with age comes wisdom. I eventually moved away and have no idea what happened to the boy that gave me my first lesson in “boy dumbness.” It’s probably for the best, though – between his teeth and mine one can only wonder what would have happened to our children! Whether you have a Warren or not, I wish you the happiest Valentine’s Day. I’m off to finish my shopping – I want to make sure my Valentine knows that, without a doubt, “I love him ‘beary’ much!” Since I love him, I may even be persuaded to share a cookie with him! from Knock it Off Kim, subscribe or follow me on social media! Pin it, Don’t forget it!